Throughout indigenous North America, the vision quest is among the most sacred of rituals. Although used primarily by healers and practitioners of native religions, it not exclusively reserved for them. 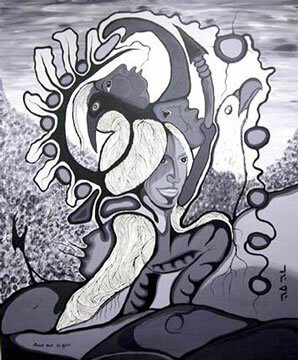 Coming in the form of dreams, visions have affected the course of native social and political development throughout history. 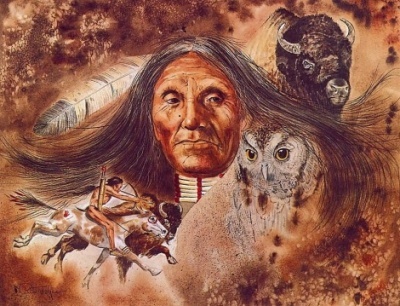 Among the Lakota Sioux, dreams and their inherent meaning are explained by a Shaman or Spirit Guide. The Lakota have a specific term for dreams and the meaning behind those dreams—Ihan’bla. 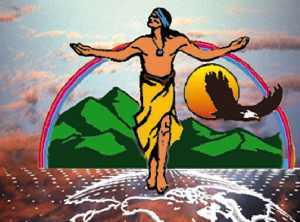 This is a general term for the study and interpretation of the images presented to an individual during a vision quest. Visions are seen as a means through which the supernatural world may contact and advise the natural world. Called Hanblecheyapi, the vision quest stands out as one of the primary rites of passage among members of the Lakota community. The purpose of a vision quest is for the seeker to receive guidance from the spirit world. Depending on the dream and the images presented within it, the seeker is guided to make important life choices. In many cases, the person experiencing a vision will receive guidance from their particular animal spirit. However, relatives and friends, as well as cultural figures from Lakota mythology, may also appear. As with all aspects of indigenous rituals, the vision quest is highly formalized. The seeker must first perform the Hanble’ceya, a fasting ritual that is shrouded in mystery. According to Lakota mythology, the Hanble’ceya was introduced by the spirit Whope’(also known as Falling Star), the daughter of a spirit called Sky. Appearing before the village council, she instructed the tribe on the proper rituals to learn in order that they may serve a higher purpose. As a vision quest is a means through which one can gain enlightenment, the fasting ritual has become an essential aspect of the journey. After having completed the Hanble’ceya, the participant in the vision quest must then embark on a journey into the wilderness. Taking only a personal medicine bag, the individual must find a quiet place in the midst of natures expansive grandeur. Since no specific place is outlined in the ritual itself, the location of this particular place is up to the seeker. In most cases, the selected site has a personal or spiritual significance to the seeker. Once the seeker has selected the location, he or she must then begin the meditation. Sitting in quiet reflection for up to four days, theseeker is called to look deep into his or her soul. This self reflection amidst the peace and solitude provided by the wilderness can also have an adverse effect on the seekers psyche. In some cases, slight bouts of madness have accompanied a vision quest. a clear perspective on important life choices.